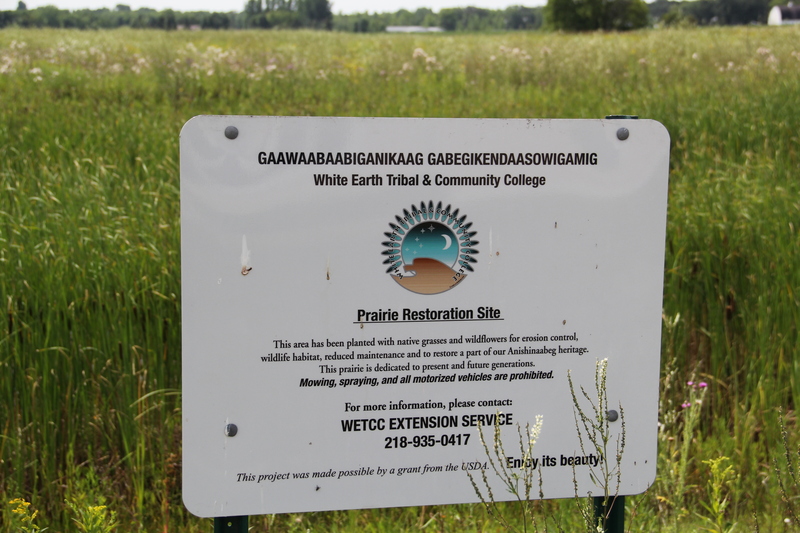 For the past 25 years, the White Earth Land Recovery Project (WELP) has been working to not only recover land for Anishnaabe people, but to help people utilize this land to produce the food these communities need. Although they are now emblematic of Great Lakes indigenous culture, the Anishnaabeg (also known as the Ojibwe, Ojibway, or Chippewa) started out on the east coast, migrating west after they were visited by 7 prophets. They headed west, along the St Lawrence River and out to the Great Lakes, stretching across present day Michigan, Wisonsin, Minnesota, and central Canada. 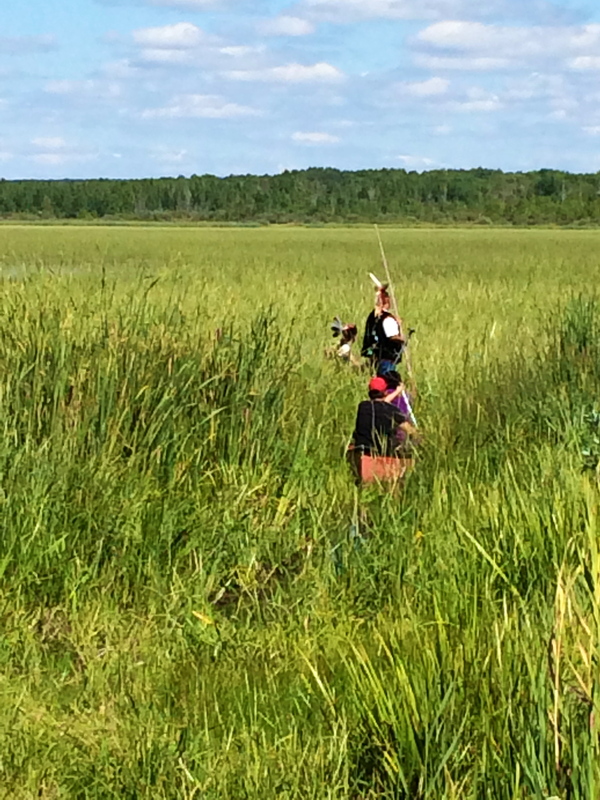 They were instructed to travel until they reached the place “where food grows on water.” To this day, Anishnaabe people still depend on wild rice as a staple food and part of their economy. Treaties between the Anishnaabeg and US government in 1837,1847, 1854, 1855, 1864, and 1867 ceded much of the land the Anishnaabe had come to call home for several hundred years before the arrival of Europeans, although they fought to maintain hunting, fishing, and gathering rights in these ceded territories. 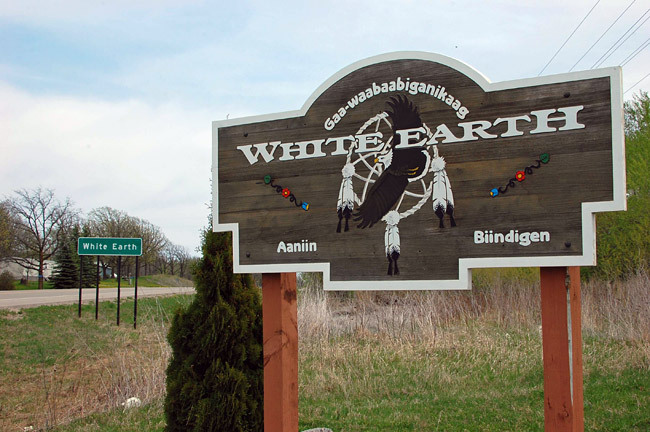 The1867 treaty created 837,000 acre White Earth reservation in north-central Minnesota, to be the central Ojibwe reservation for all Anishnaabe people in the state. Many bands were resistant to move, except for the Mississippi Band who began settling in White Earth Village in 1868, with other bands settling in different regions of the reservation. In 1889 the Nelson Act allotted reservation agricultural lands to families, keeping valuable timberlands under communal ownership. 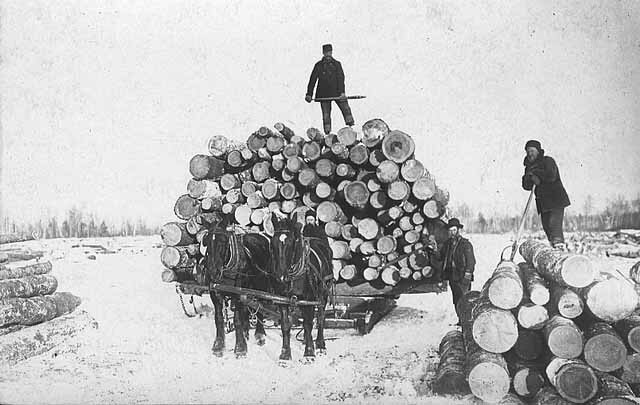 Timber companies were eager to have access to these lands, and so to facilitate this the 1904 Steenerson Act and Clapp Rider of 1904 legalized the allotment and sale of timber lands. To speed up the process, the Burke Act of 1926 terminated the 25 year trust period for “competent” mixed-blood Indians, making it easier for more Anishnaabeg to become separated from their land, to the benefit of timber companies. 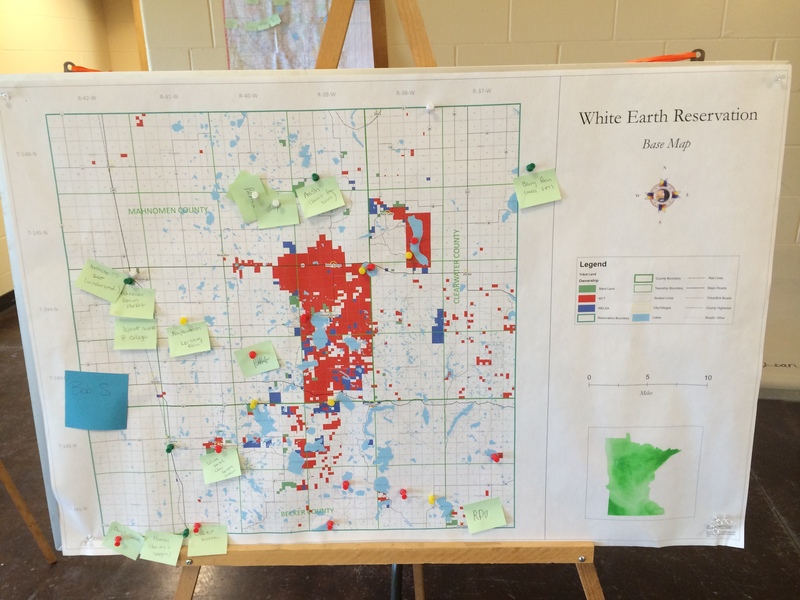 These land policies led not only to clear-cutting, but also to the current state of ownership on the White Earth reservation. Currently on the reservation, which is now 76,347 (9% of the original land base), the tribe owns around 10% (compared to 6% in 1978) of the land within the reservation, federal government owns 15%, state owns 7%, counties own 17%, and private ownership (including non-Native) is 51%. Individual enrolled members own a great deal of privately owned fee lands within the reservation but as a result must pay property tax to the counties. The tribe also own land on which they must pay property taxes until they can get the land into trust status with the federal government (a process which takes many years). Winona became a plaintiff in the court case fighting for the return of land and resources. 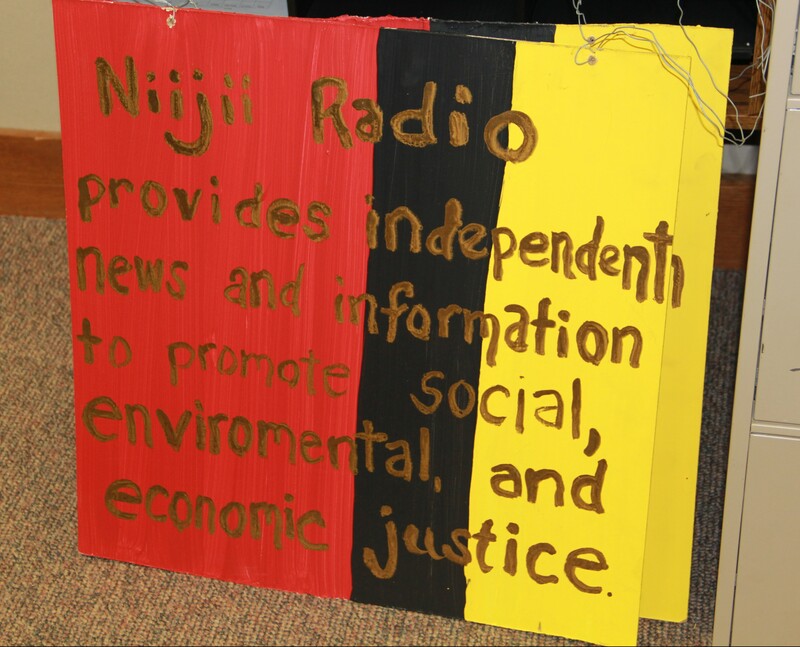 She began an organization called Anishnaabe Akiing, which helped fight the court battle. 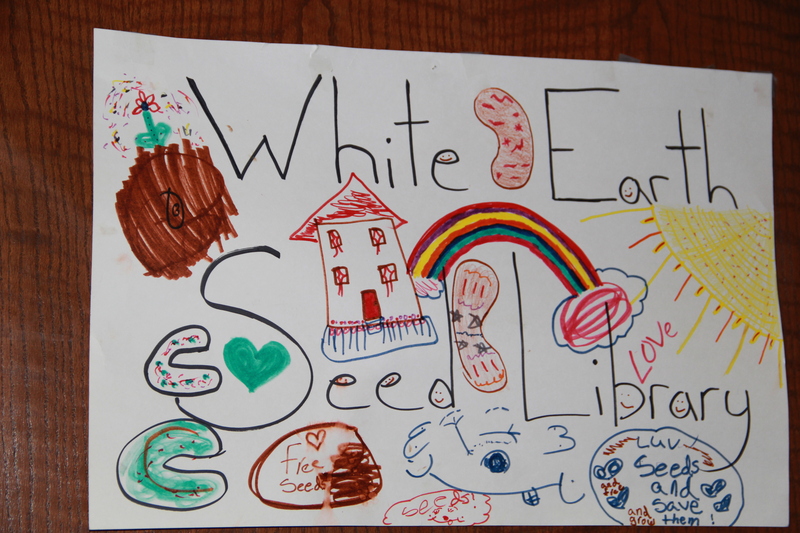 The resulting White Earth Land Settlement Act of 1986 involved over 1900 individual allotments and titles to over 100,000 acres of land, which were illegally transferred during the 1900’s. The act extinguished all land claims, returning 10,000 acres of state/county held land to the tribe in exchange for the tribe allowing for cleared titles of 100,000 acres of privately owned land, and providing compensation for allottees and heirs. In addition, the tribe received $6.5 million of which went to White Earth for economic development, which helped to build the Shooting Star Casino. 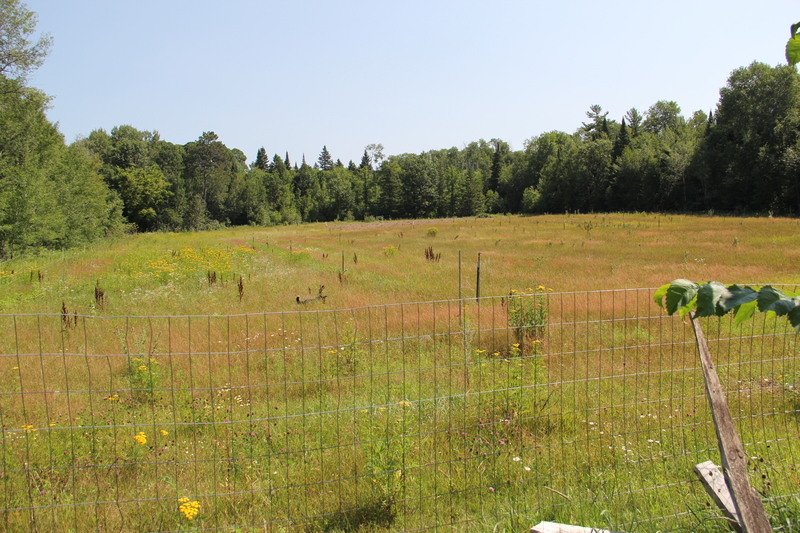 The Minnesota Chippewa Tribe also sued the federal government over the mishandling of timber lands, that led to clear-cut reservations and money that never went to the Anishnaabeg. The Minnesota Chippewa Tribe won a $20 million settlement in 1999, which is just now being distributed in per-capita payments to Minnesota Chippewa tribal members from the state’s six bands. 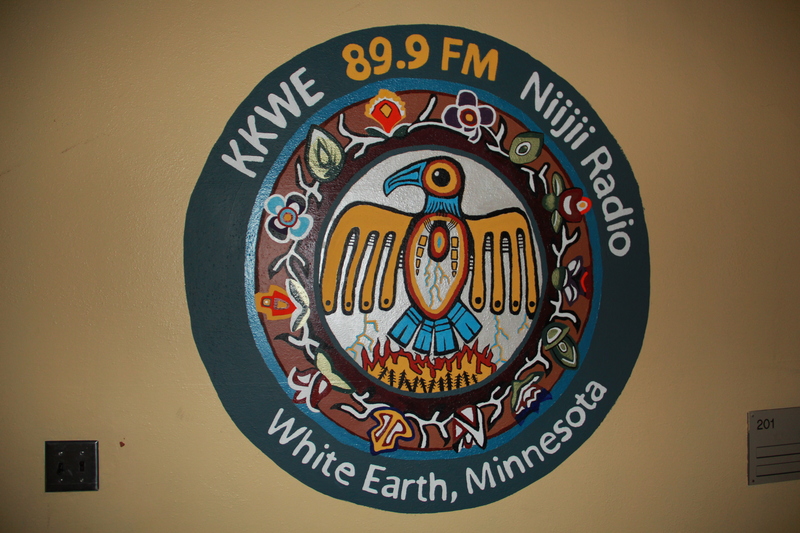 Out of Anishnaabe Akiing, in 1989 Winona helped to form the White Earth Land Recovery project, which sought to recover additional land for the community. The mission of the White Earth Land Recovery Project is to “facilitate the recovery of the original land base of the White Earth Indian Reservation while preserving and restoring traditional practices of sound land stewardship, language fluency, community development, and strengthening our spiritual and cultural heritage.” The 1400 acres they were able to acquire now includes fields on which they grow food, midewiwin lodges, a wild rice processing mill, a 260 acre maple sugar bush, a radio station, a USDA-certified food-processing center, a restaurant, and two cemeteries. 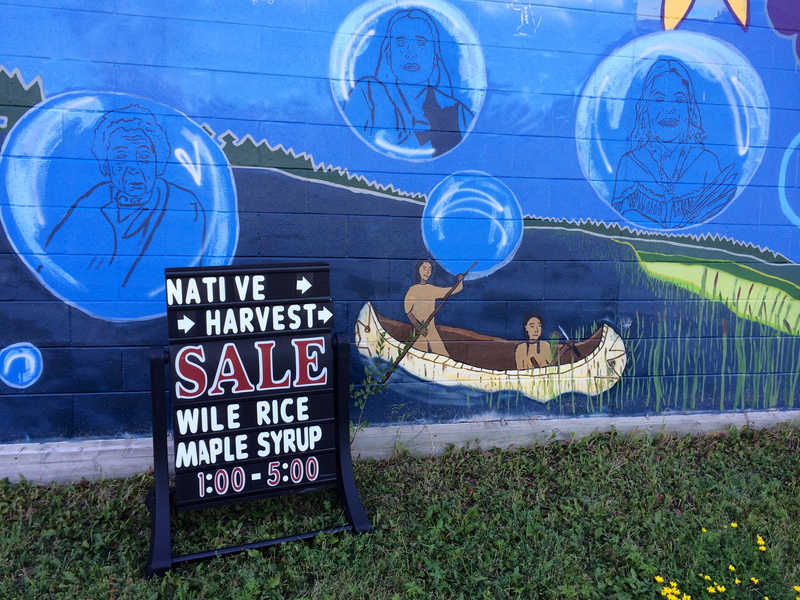 In addition to fighting for the return of White Earth’s land to its people, WELRP has also been focused on one of the region’s staples: wild rice. Winona described how she is “here because of rice;” her father met her mother selling wild rice, and she’s eaten it her whole life. Wild rice that grows in lakes around the upper Midwest is incredibly diverse, and this biodiversity helps it to survive blight and inclement weather. Nutrition and cultural teachings come from wild rice (see future posts about wild rice production). The University of Minnesota domesticated wild rice, and started to grow it in diked rice patties, using fungicides, herbicides and combines to grow and harvest it. Today, 75% of all wild rice that is sold comes from CA, and 95% of all wild rice on the market is grown in paddies, not wild on lakes. WELRP has worked since the 1980’s to provide fair prices to Ojibwe rice harvesters, to circumvent the wholesalers would gather at the banks of lakes to pay as little cash as possible to the ricers. WELRP has also worked to prevent companies from giving the false impression that their paddy rice is actual wild rice, and to keep the University of Minnesota from genetically engineering wild rice. 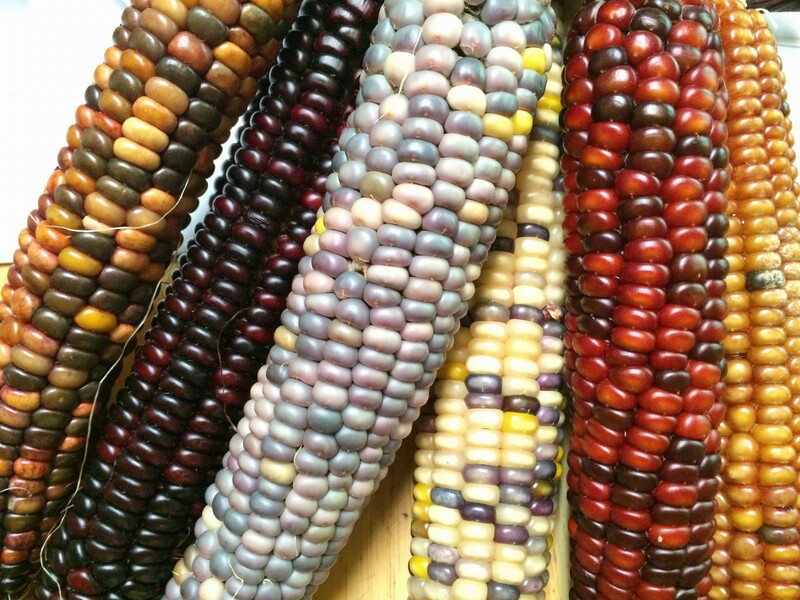 WELRP has also been working to return heritage corn varieties to the reservation. 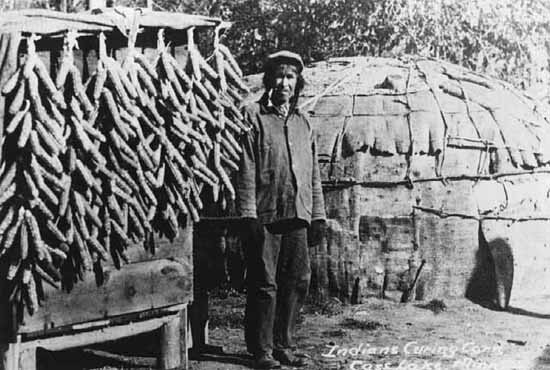 According to Winona, the Anishnaabeg were the northern most corn growers in the world, at one time pushing corn 100 miles north of Winnipeg. Corn, like their signature Bear Island Flint, was often grown on islands, microecosystems that were relatively predator free and experienced milder temperatures. Interested in restoring these nutrient dense varieties (see chart) in order to better feed the community. 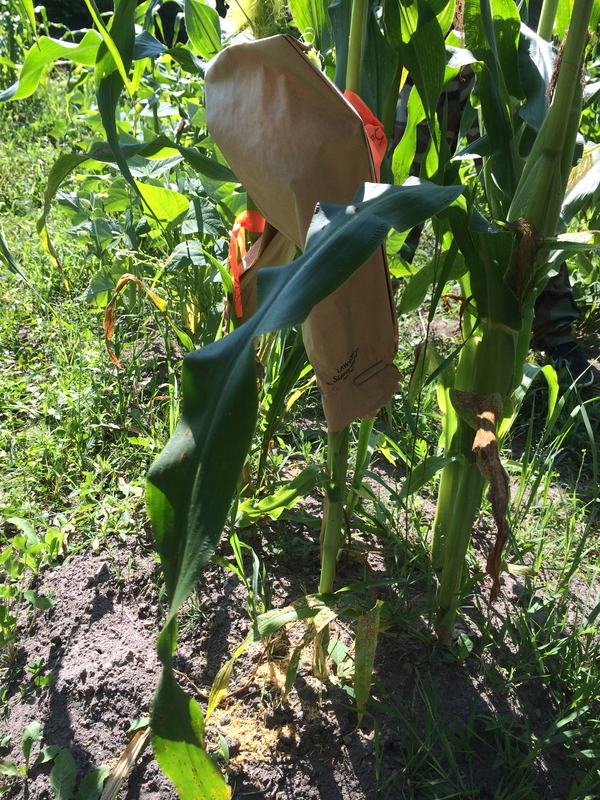 Bear Island Flint Corn originally came from an island in Leach Lake. It’s a hominy flint corn with twice the protein of conventional corns, and is high in b vitamins. Bob Shimek, the current director of WELRP (Winona has decided to focus more of her attention to Honor the Earth rather than try to direct both organizations simultaneously), began working for WELRP in 1991. Originally from White Earth, he was living in Seattle at the time and saw an opportunity to return home to his reservation. His work initially consisted of trying to identify forgotten burial grounds, and modify the clear cutting of timber on White Earth. Bob described the forest as “the medicine chest for the Indians, medicines grow there. People were losing their medicine picking sites because of clear cutting.” This was also a problem because “You know it’s kind of like our landscape formulates our identity – our cultural identity, our spiritual identity – and I didn’t want to see our culture clear cut, again.” He works with WELRP to promote renewable uses of the forest through working with the organization’s Sugarbush Project (which tapped 800 trees in 2013), and developing a facility to utilize berries by processing them into jams, jellies and syrups. In 1994 WELRP began Native Harvest, a retail operation that supports local gatherers by buying from the community and selling through their store and website. For example, in 2013, they purchased 13,000 pounds of wild rice from local ricers, which they then finished and sold under their Native Harvest label (there will be a future post on the rice finishing process). 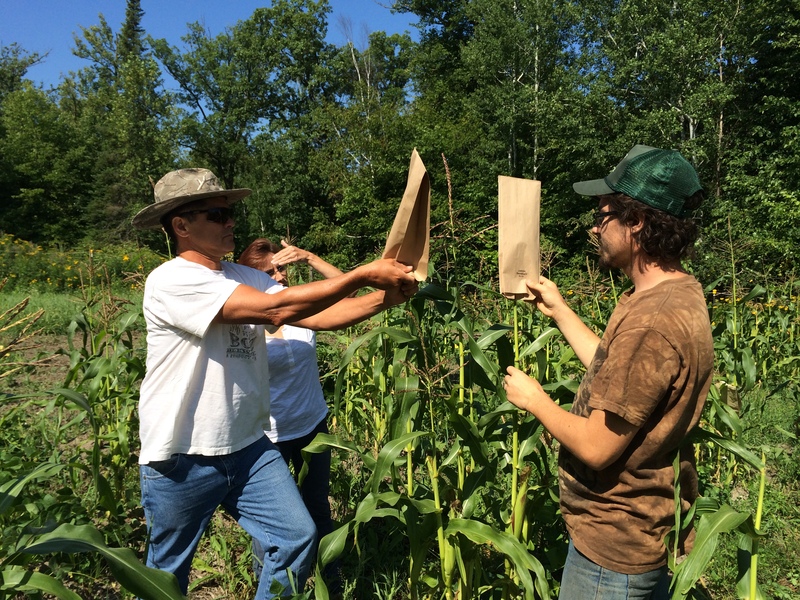 As Bob describes, the Ojibwe food system encompasses both domesticated (corn, beans, squash) and wild foods. He describes these wild foods as “the creator’s garden,” at the same time acknowledging the role of Anishnaabe people in creating optimal habitats for berries and wildlife through the use of fire. 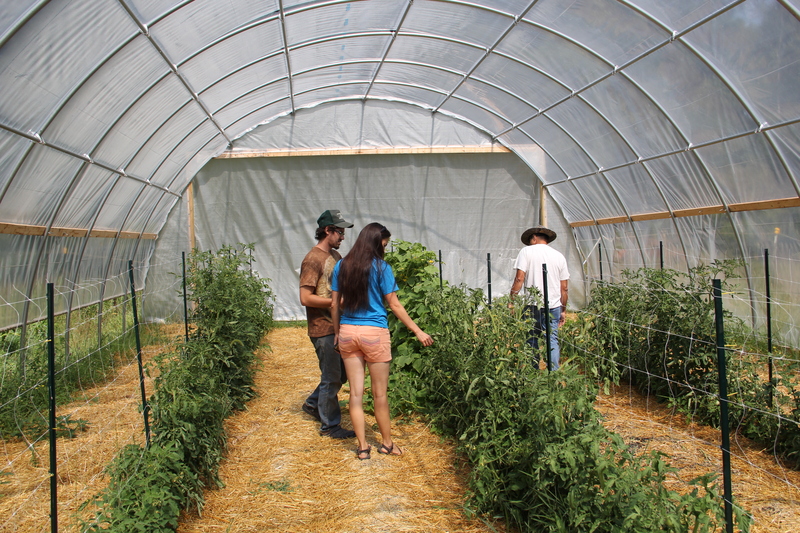 Foods from the farm, lakes and woods is featured at Native Harvest, as well as their own coffee brand and crafts produced by local community members. The WELRP farm is now tended primarily by Zachary Paige, who arrived in White Earth in May 2012 as an AmeriCorp VISTA worker. 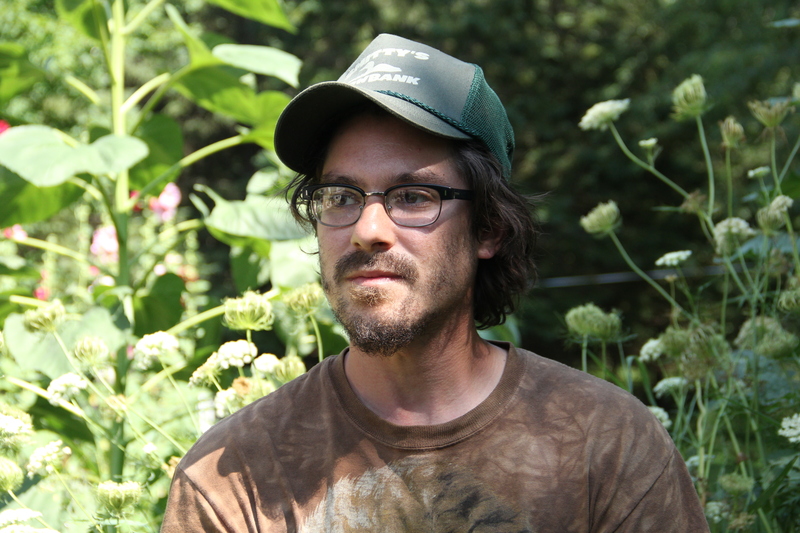 Zach is originally from the east coast, where he studied music composition and worked on organic farms in Vermont. 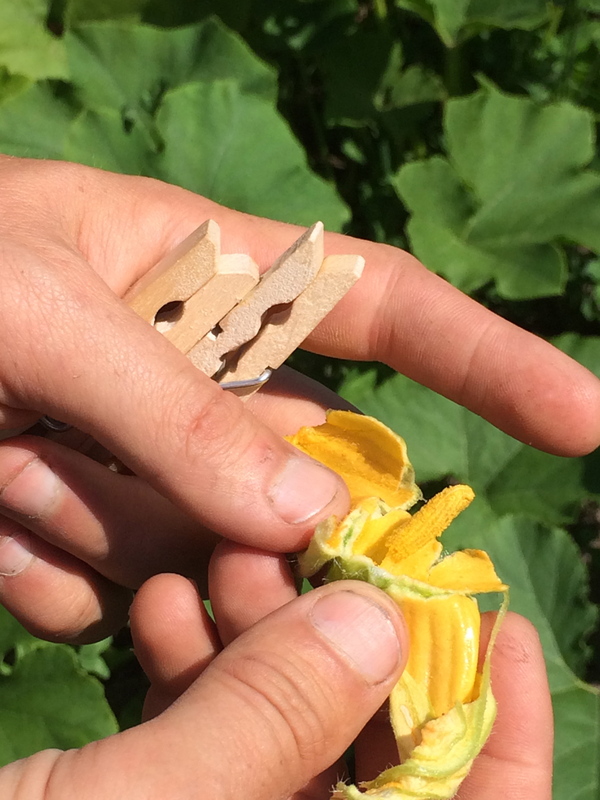 He was interested in learning about the origins of cultivated crops, plant breeding, seed saving and wild foods. He searched for an indigenous farming project that he could collaborate with and found WELRP was looking for someone with this background. 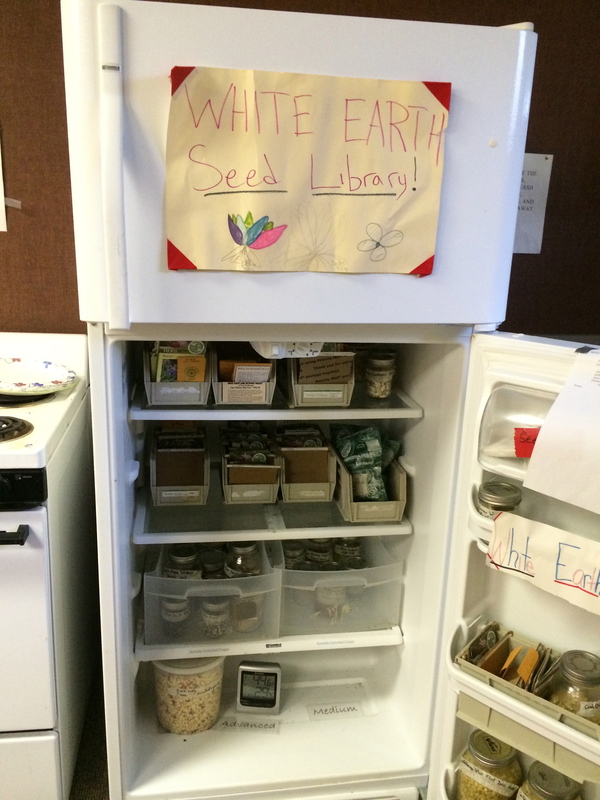 After serving two years as an AmeriCorp VISTA volunteer, he now serves as the program coordinator of the ‘Upper Midwest Indigenous Seed Keeper Network’ grant project for WELRP. This project was granted by the Administration of Native Americans and serves 13 native communities across Minnesota, North Dakota, Wisconsin and Iowa. 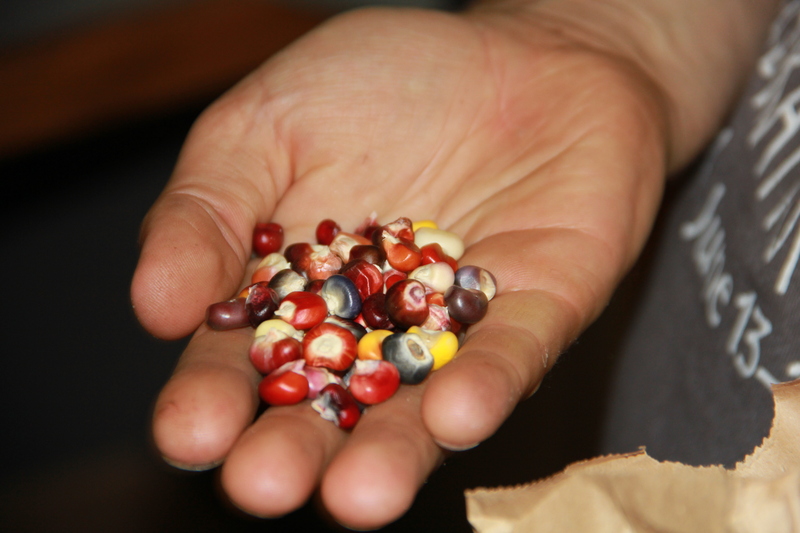 One of the activities of this grant include implementing a “train the trainers” model to teach 360 native community members in cultural seed saving techniques and seed storage. 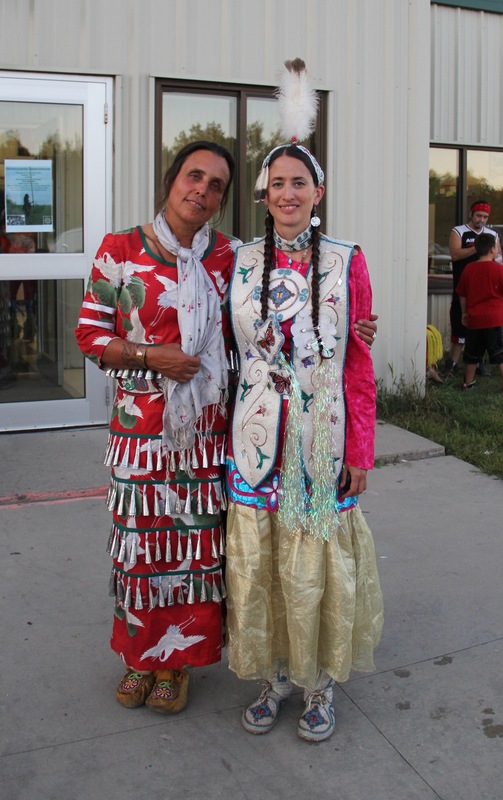 The workshops will be taught by native seed keepers in the region. Through the network, native communities in this northern region will be able to easily access educational resources as well as growing records of indigenous seeds within the network. 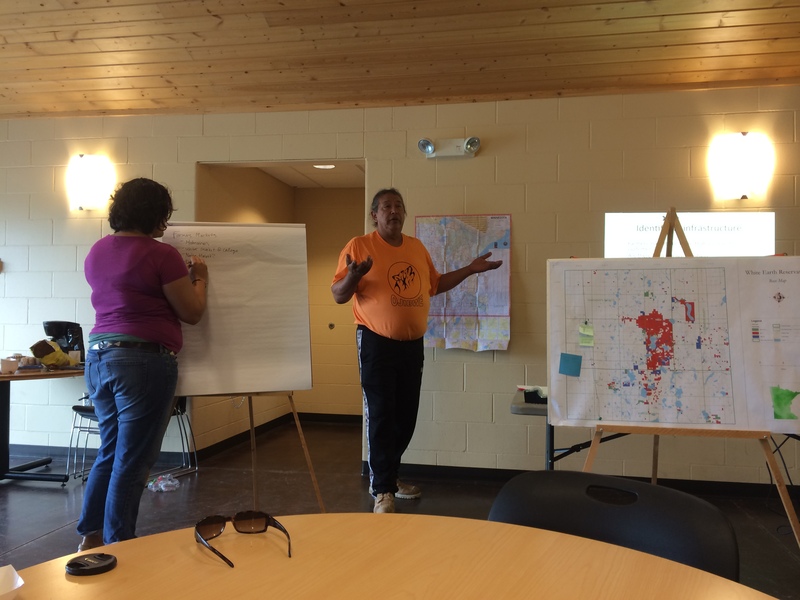 This project intends to improve the health of the community members through access to healthy, diverse, and high-nutrient foods as well as revitalizing cultural and spiritual health in the upper Midwest region as well as White Earth. 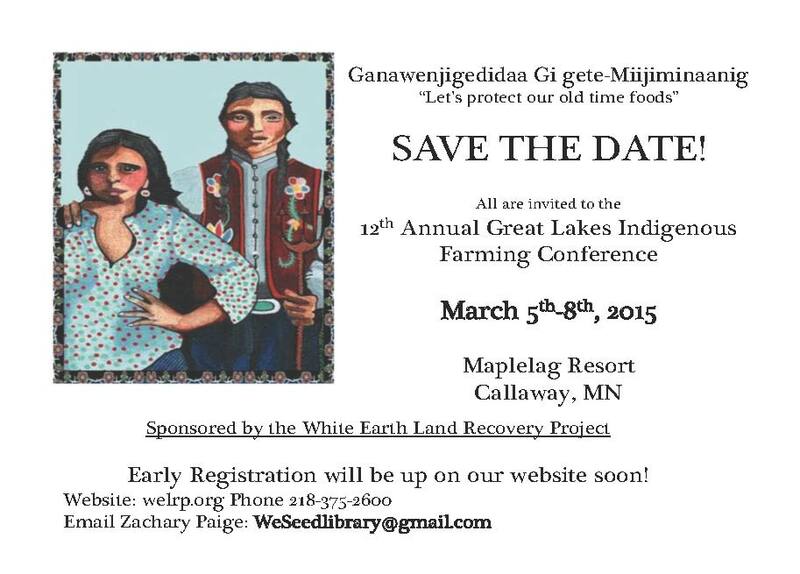 Zach also has helped to organize the Great Lakes Indigenous Farming Conference for the past couple of years. The conference is entering its 12th year, and draws attendance of indigenous farmers from across the upper Midwest, but also from around the country. 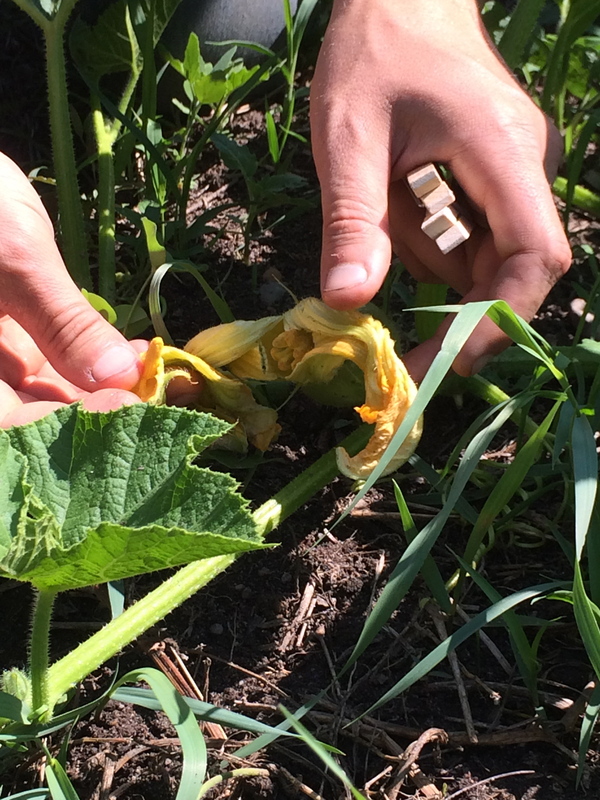 During our visit to White Earth on August 4-5, Zach gave us a tour of the WELRP farm in Ponsford MN where he showed us the various crops currently in production, and taught a pollination workshop for community members. 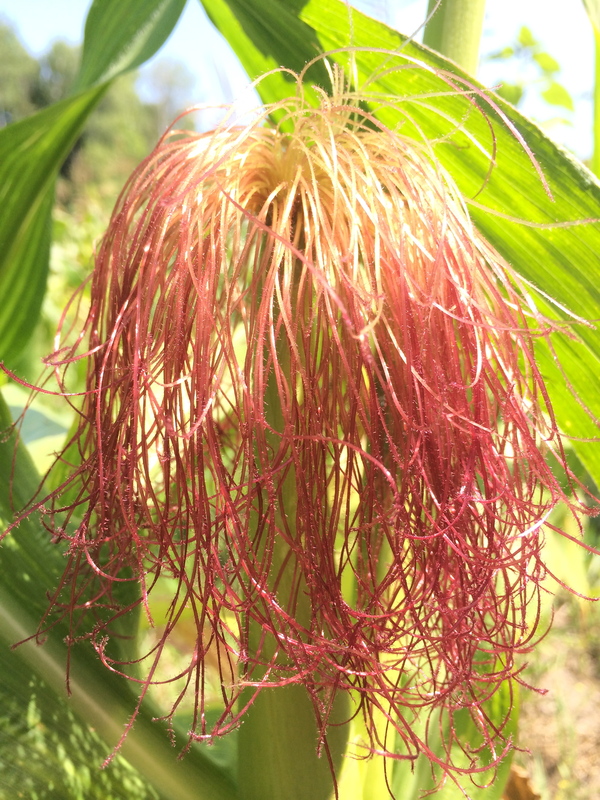 Pink Lady corn and white corn. 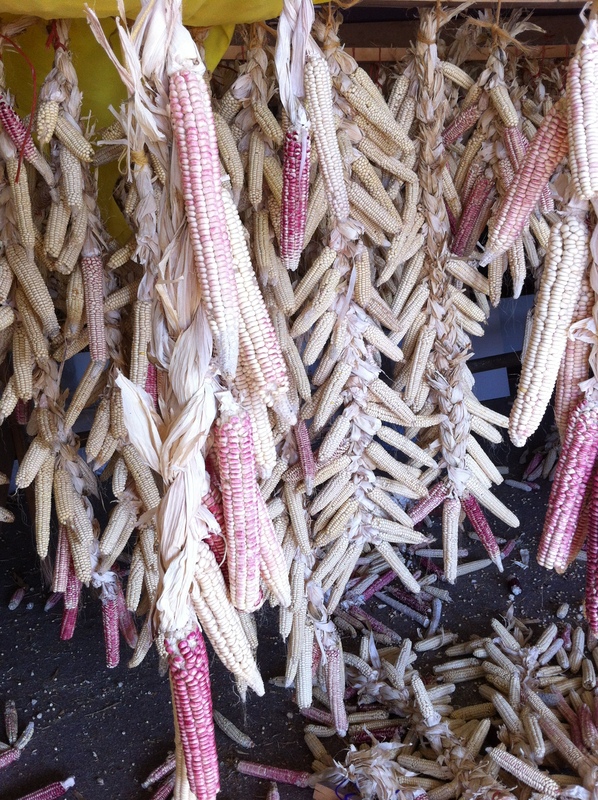 In 2010, WELRP began growing out heritage corns with the assistance of an Indigenous Corn Restoration Sustainable Agriculture Research and Education SARE grant. 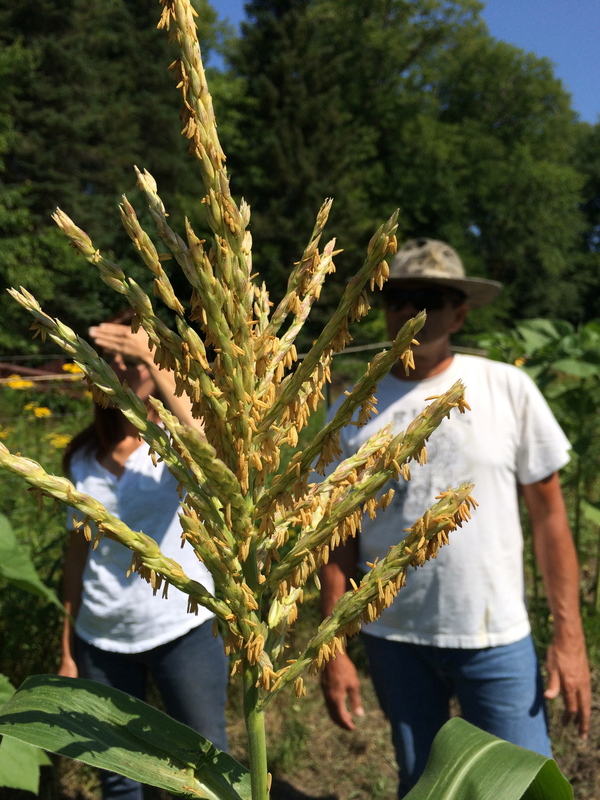 This crop of corn was harvested in 2012 by Zach and WELRP staff and interns. Photo by Elizabeth Hoover, March 2013. 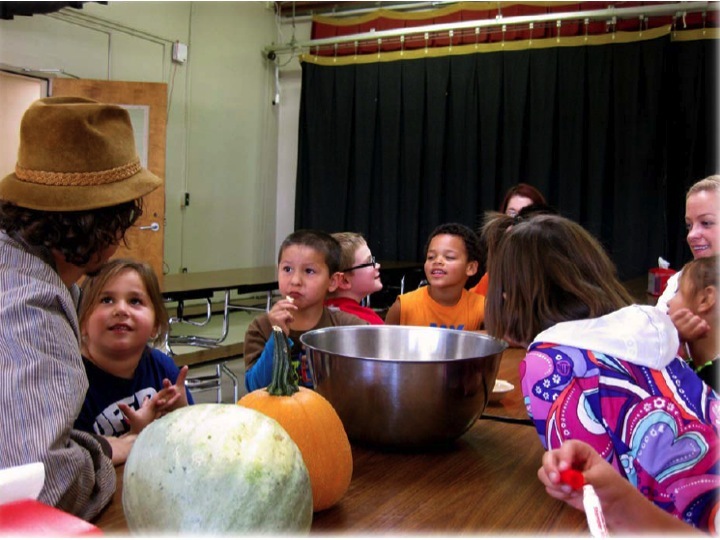 Since 2008, WELRP has been working to connect local farmers with schools on the reservation, in order to provide healthier lunches for students, and to support the local economy. When they first began, the program focused first on the Pine Point School, where 98% of kids qualified for free or reduced price lunches. Since starting the program, WELRP has extended it to the Nay Tah Waush Charter School located in the northern part of the reservation and the Circle of Life Academy located in the village of White Earth in the center of the reservation. 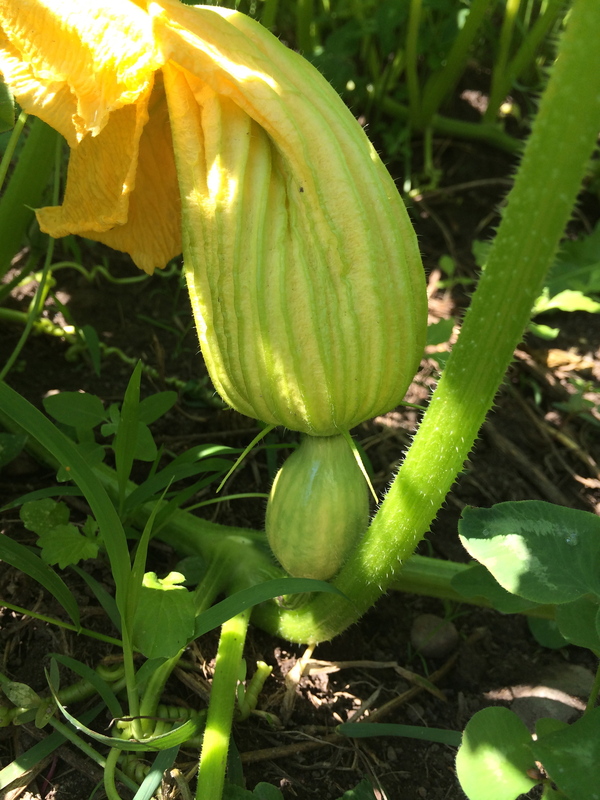 The program works to bring high-fiber nutrient-dense foods like wild rice, hominy corn and traditional squash to the kids’ diets, as well as to keep food dollars spent within the community, rather than on nation-wide food distributors. Initially WELRP processed much of the produce in their USDA certified kitchen and then delivered the food to schools, but in the past two years they’ve found it easier to connect the farmers directly with the schools, only occasionally still processing food like frozen sweet corn in the WELRP kitchen. In addition to connecting farmers with the school WELRP staff went into classrooms, sometimes with local farmers, to educate the children about local food, and also worked with the school kitchen staff to replace some of the foods being served with local vegetables. 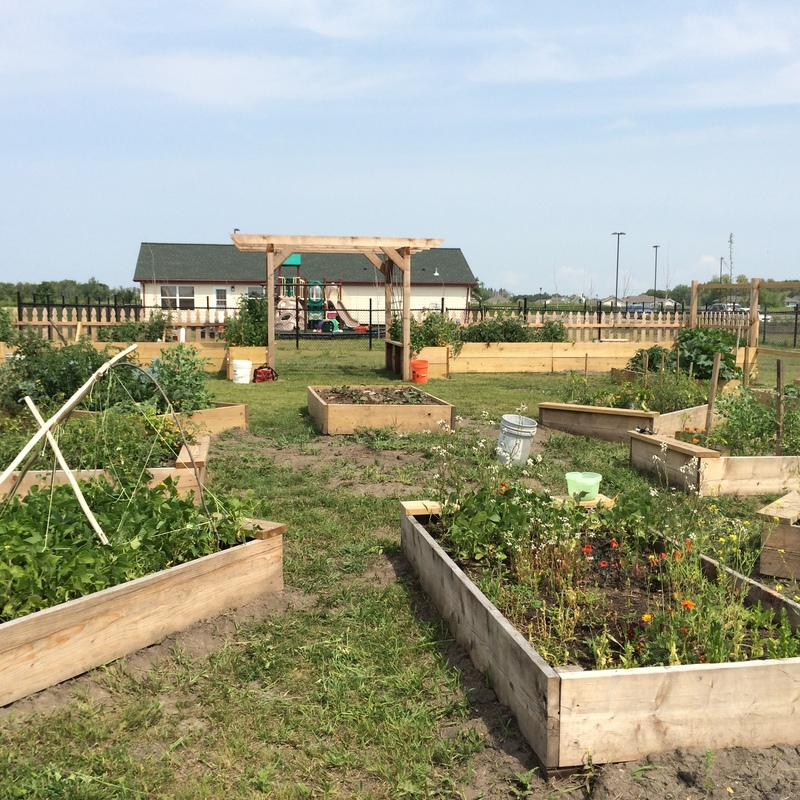 In 2013 the WELRP farm to school program got 2,000 pounds of fresh produce into local schools. 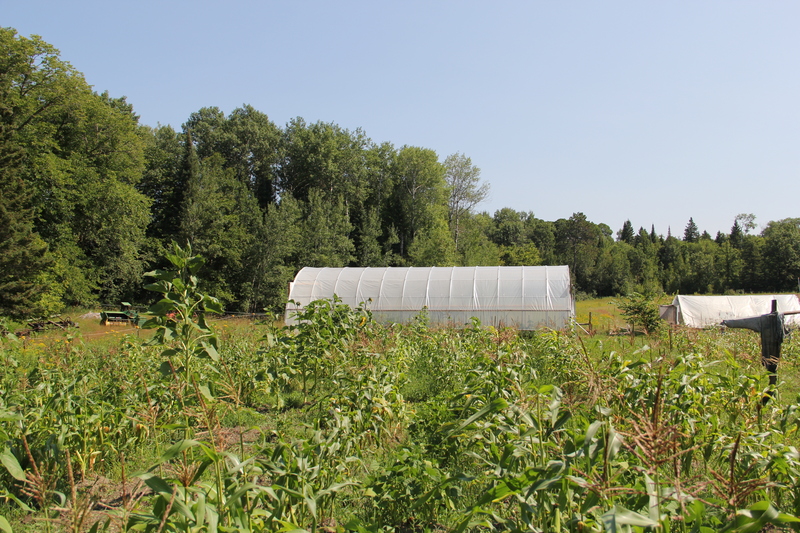 For a report on how other indigenous communities can start a Farm to School program, see this report. 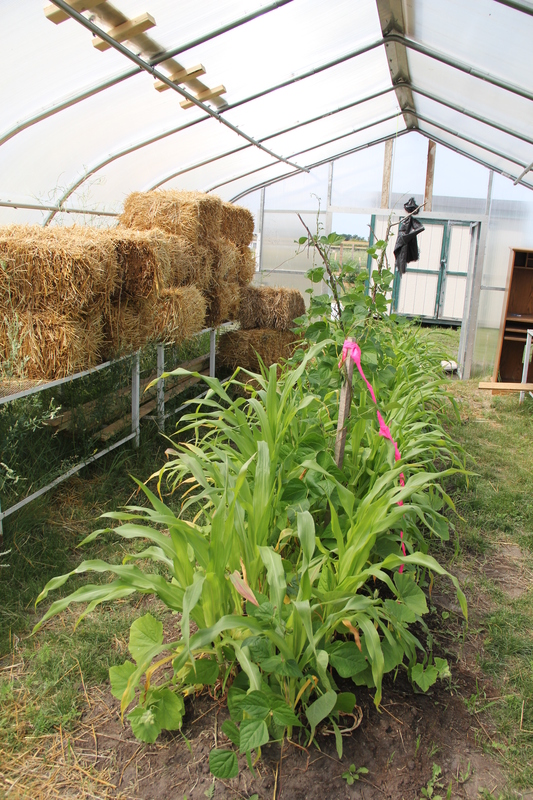 Another new food production project on the White Earth reservation that has collaborated with WELRP is the White Earth Tribal & Community College Extension Service garden, located just outside the extension office on the college campus. 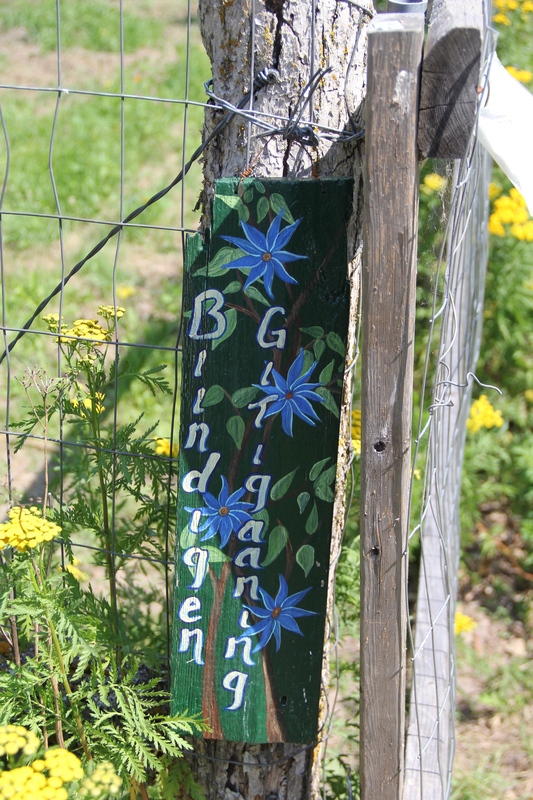 Tammy Bellanger, the Extension Coordinator for the College, showed us around their new community garden, bean project, and the turtle shaped Nanaandawigitigaan (Healing Garden) funded through National Library of Medicine. 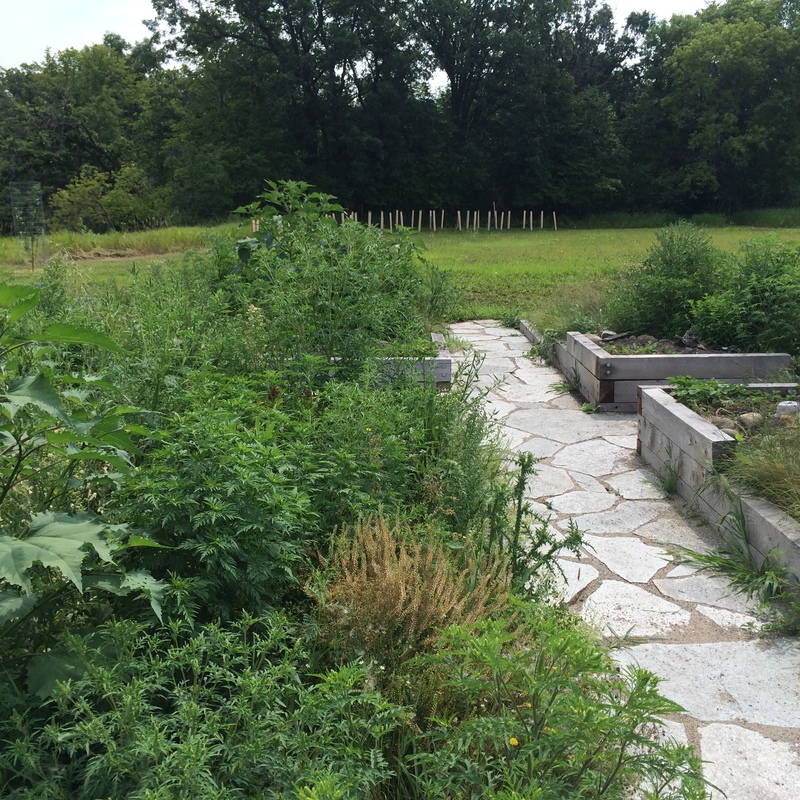 The garden was constructed this past summer, with funding from an Indian Health Services (IHS) grant. 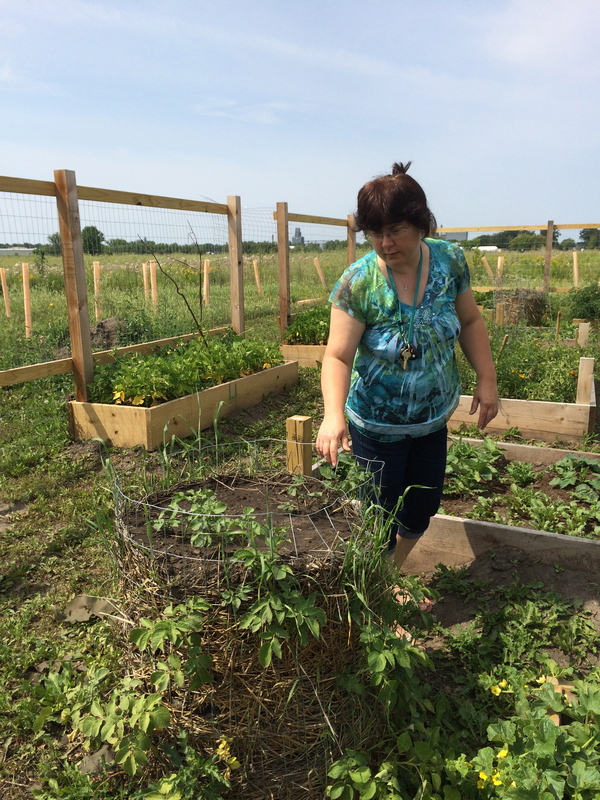 Before constructing the garden, Tammy and extension office staff went door to door in the White Earth village community to see who would be interested in participating. 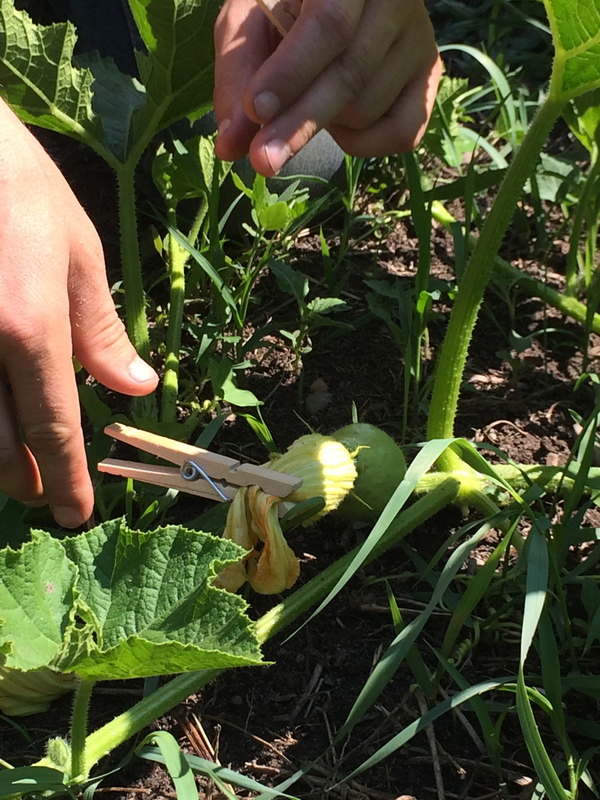 They now have a core of kids who come by regularly, and bring their friends and cousins, to work in the garden and snack on its bounty. 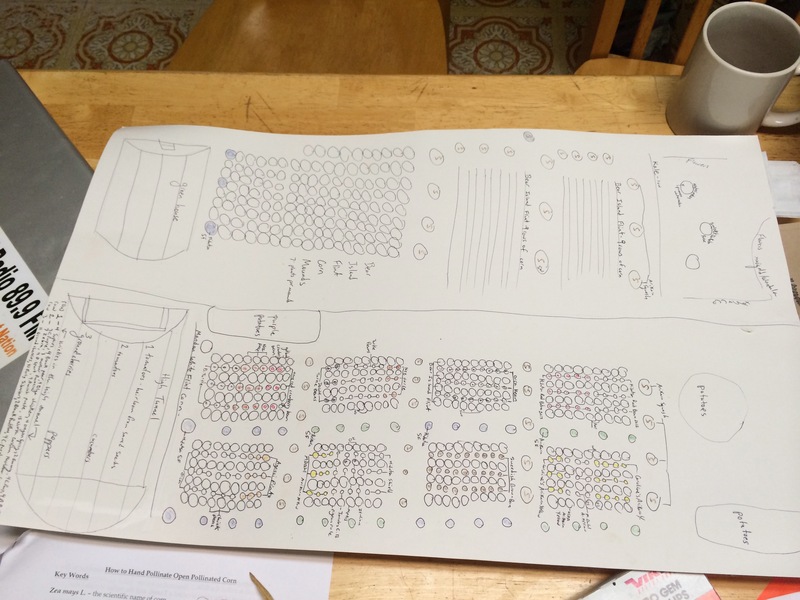 In addition, the Boys and Girls Club purchased 6 of the beds for a service learning project with the youth, in which they come out twice a week to tend them and learn about growing. Despite the fact that the 440 plants were planted in June, they had all grown quickly and were thriving by the time we visited in August. Plants like tomatoes were grown inside the extension office in the grow lab, before being transferred to the raised beds. The boxes contain plant varieties like basil peas, cantaloupe, watermelons, brassicas, peppers, tomatoes, flowers and green beans. There are also potato towers– layers of straw, soil, potatoes. At the end of season they will open the cages and the potatoes will all fall out. 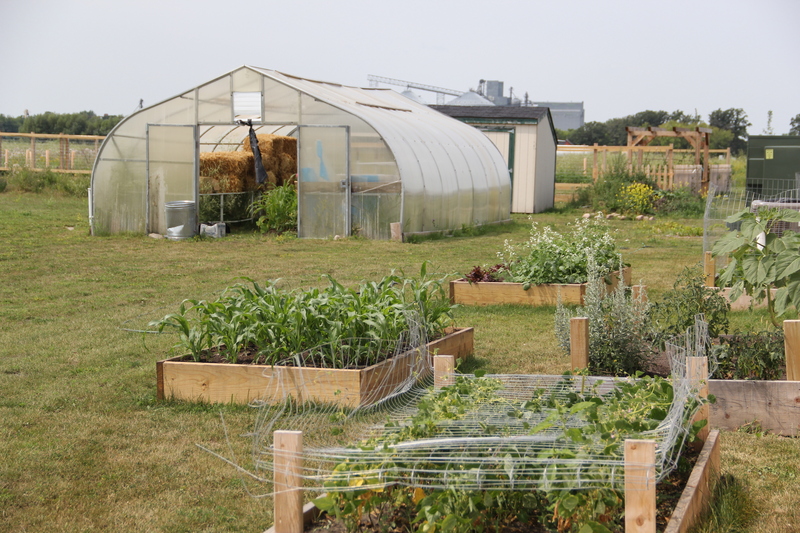 The garden is also home to a bean research grant through the USDA, run by Steve Dahlberg, the Director of Extension and a professor at the college. 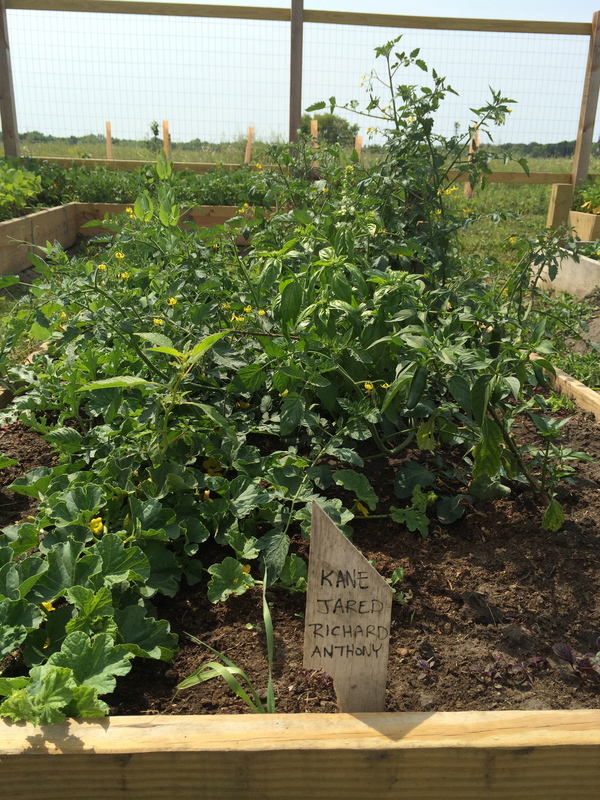 They are currently growing out 21 different kinds of heritage beans (like Seneca Bear bean, Arikara yellow, corn bread bean, and Soldier Bean- named for the little maroon figure in the middle of the white bean that’s shaped like a soldier.) 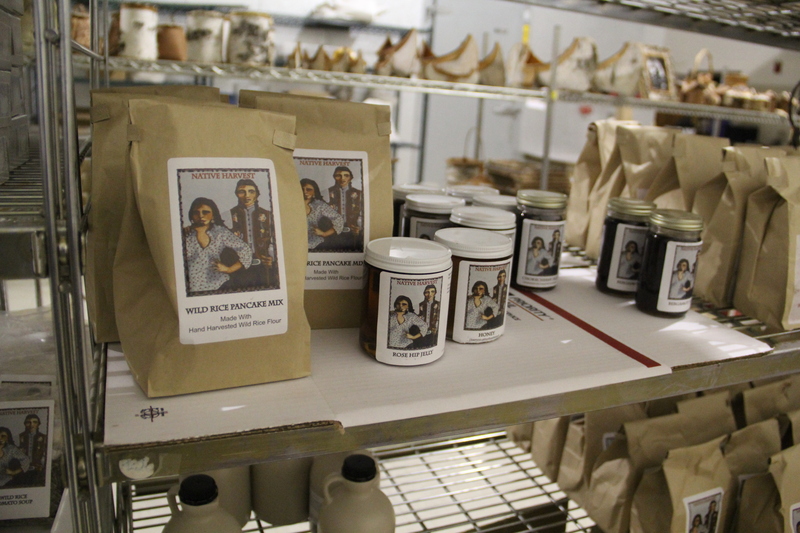 The beans came from a variety of sources, including Seed Savers Exchange, Dream of Wild Health, Prairie Road seed company, and as a high school in Maine where a science teacher has his students grow out heritage beans. The plan is to grow out the different varieties and see which are most suited to the environment. Winona tells the story that when she was in college, her father came to her one day and said “You’re really smart young woman, but I don’t want to hear your philosophy if you can’t grow corn.” And so she set out to apply her education, and to help her community grow food through the White Earth Land Recovery Project. Others have gravitated to the project for similar reasons. 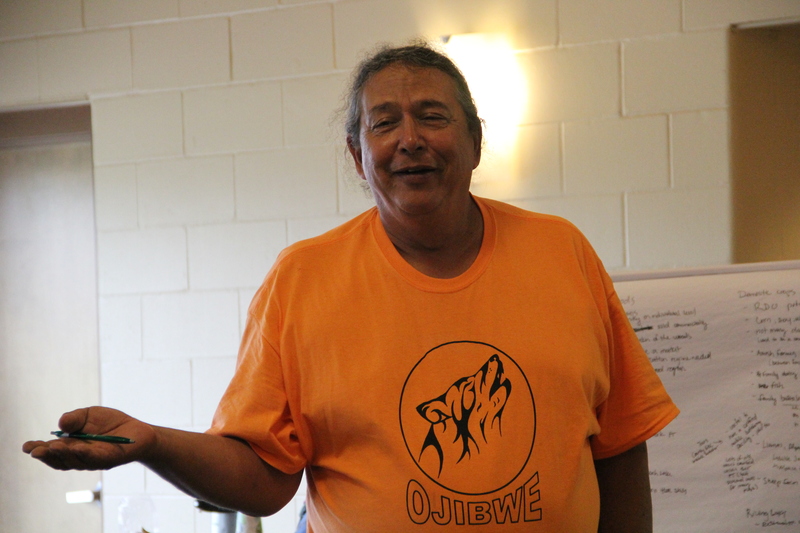 Bob Shimek described how he’s using the Ojibwe food system as a vehicle for cultural restoration and revitalization. He describes how “Those little creation stories that come with each one of our relatives whether they be the fish or the birds or the plants or the insects or the frogs or turtles or whatever, so many of those have a little story about how they got here. Inside those words that tell that story, that’s where the true meaning and value of our culture is stored. In our language that tell those stories. So that’s the effort I’m making right now, to not only keep building on our physical health, improving our physical health by teaching people not only about gardening and small-scale farming but also all the wild plants, the wild foods that are out there, but also packaging those up in the historical, cultural, and spiritual context which is part of the original understanding in terms of our role here on this turtle island.” Winona and Bob, along with staff members, countless community volunteers over the years and the dozens of AmeriCorp VISTA workers like Zach, have worked over the past 25 years to acquire land, grow out heritage seeds, support community food producers, support the culture behind traditional food, and work to bring sustainable energy to White Earth. My grandson, Xavier Legros (he has a French name) will be an intern on your reservation. He is studying agronomy in France. I looks like he will have a great experience. An amazing and inspiring read. Thank you!